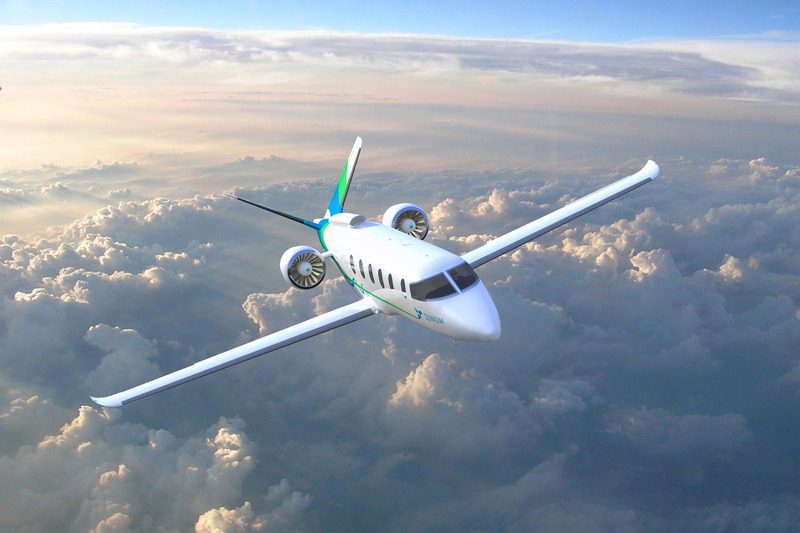 Zunum Aero has chosen a new turbine engine from Safran Helicopter Engines to drive the electrical generator in the hybrid-to-electric commercial aircraft it expects to reach the market in the early 2020s, the Washington state-based venture announced Thursday. Internally dubbed the ZA10, the 12-seat hybrid aircraft capable of flying to a range of 700 miles would derive its power from two sources: propulsion batteries and a Safran turboshaft engine rated from between 1,700 and 2,000 shaft horsepower. The new engine model, the Ardiden 3Z, will couple with an electric generator; the resulting integrated turbo-generator will deliver 500 kW of electric power to supplement the battery packs on key stages of flight and over long ranges. Zunum says that upgrades such as advanced materials and integrated lifecycle management for hybrid service will “dramatically” reduce operating costs of the engine by extending the life of critical components. Zunum expects the new aircraft to operate at a cost of 8 cents per available seat mile, or $250 per hour, which is 60 to 80 percent lower than comparable conventional aircraft of a similar size. The company has designed the ZA10 to cruise and land on turbo-generator power alone, offering full redundancy, according to Zunum. Zunum co-founder and chief technology officer Matt Knapp characterized the partnership with Safran as a natural choice because a compact and lightweight 500 kW-capable gas turbine accounts for a key element of the MW-class hybrid-to-electric powertrain needed to complement the airplane’s propulsion batteries. Near-term project milestones include ground- and flight testing scheduled for 2019, followed by delivery of the ZA10 in the early 2020s. Zunum has chosen a Rockwell Turbo Commander 840 to modify for the flying testbed. The airplane offers weight and performance similar to that of the ZA10, and Zunum says its "excellent single-engine capability" will allow program engineers to modify and test in phases for a high degree of safety. In preparation for flight in 2019, Zunum Aero conducted ground tests of the hybrid-electric power system at Chicago-area facilities earlier this year. Through the fourth quarter of 2018 and early 2019, it will continue to upgrade and test the power system in stages to advance it for flight. Meanwhile, the Ardiden 3Z engine will undergo ground tests in France and the U.S., ahead of integration with the flying testbed in 2019. Modifications of the test aircraft began on schedule for a series of flights in the second half of 2019, leading to full hybrid-to-electric conversion with the Safran engine. Zunum says it will continue to upgrade the flying testbed with “successive” prototypes until the start of the type certification process in 2020 or 2021. I hope this electric engine is better than the engine that they could not support for Falcon Jets aircraft.